HovClick is undetectable by traditional popup blocking software! 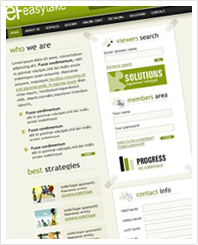 You can feel confident using hovClick to create a better browsing experience for your visitors. Because hovClick integrates into your existing webpage visitors experience a consistent navigating experience. HovClick is different because your popup is un-obstructive because it appears within your webpage and it’s easy to create. 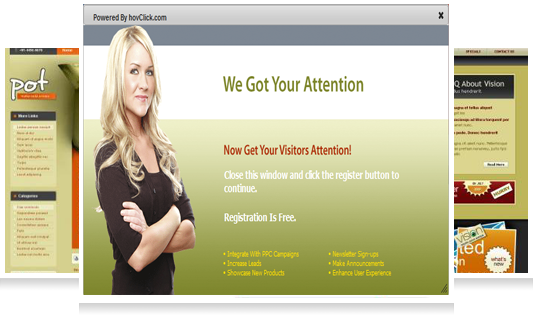 "With hovClick we were able to increase leads by 200 percent in a non-intrusive way. I recommend hovClick.com to all marketers." HovClick is the unblockable popup you’ve been looking for. Most people associate popups with advertising that is intrusive to the web browsing experience or unwanted. However, popups play an important role in reaching your audience. It’s common knowledge that website visitors make decisions, whether to stay or leave, in the first few seconds, on the first page they visit. Unfortunately, guaranteeing a visitor will find a specific product, or your newsletter, is impossible. Advertisers covet the popup because it focuses the visitors’ attention on their specific content. But today, web browsers and software comes with tools to stop traditional popups. 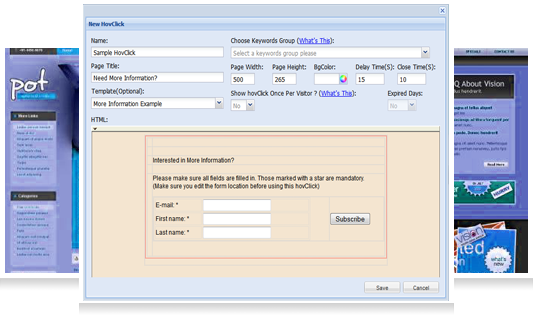 HovClick gives you back this important functionality with a few extra enhancements. If you’re site receives traffic from popular search engines like Google, MSN, or Yahoo, you can take advantage of hovClick “triggers.” Simply choose specific keywords for your hovClick popup and when the visitor clicks over to your site using any of the keywords they will see the specific content you’ve chosen. Other visitors experience the site without interruption. This way, if a visitor is looking for a specific product you can make sure it’s one of the first things they see! Installing hovClick is easy for everyone. Simply click “generate code” in the hovClick user panel, copy and paste the code at the very bottom of the webpage, and you’re done! Our free version includes a non- obstructive “powered by hovClick” link or you can remove the link at a very small cost and help support hovClick, keeping the free version available to everyone.